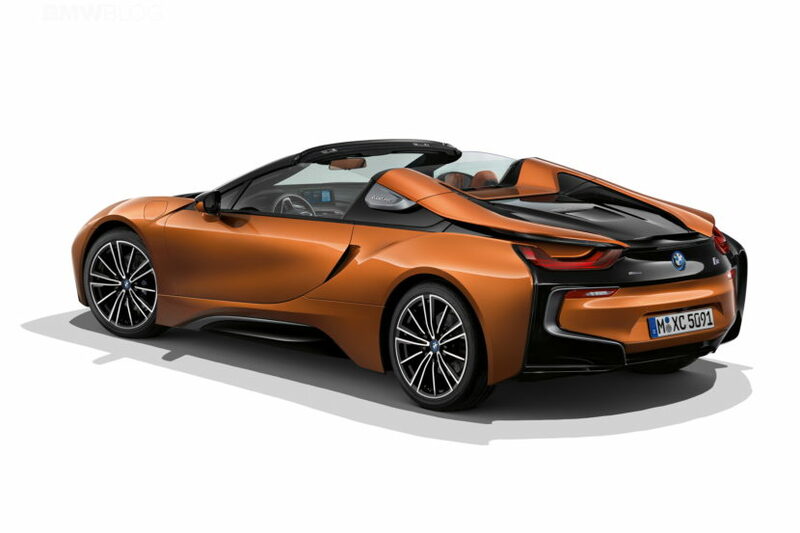 Shortly after the launch of the new BMW i8 Roadster, the Munich-based automaker is releasing a mild aerodynamics package for the beautiful two-seater open top. Since the i8 has already gone through an extensive aero process in the wind tunnel, the new package is quite mild. According to the company, the new aero package for the i8 Roadster will consist of a dual-section front splitter and a spoiler lip, which will help with downforce and better driving dynamics. At the International Media Launch last month in Mallorca, BMW i8 Roadster product manager, Marcus Pluntke, also said that BMW has already have over 1,000 orders of the new roadster and that there are plans in motion to keep the demand high after the initial surge dies off. The engine remains unchanged, so it still makes 228 hp and 236 lb-ft and is mated to an electric motor and six-speed automatic gearbox, powering the rear wheels. While an electric motor powers the front wheels, thus giving it real-time torque-vectoring all-wheel drive. The latter motor makes 141 hp and 184 lb-ft of torque, up only slightly from the non-LCI BMW i8. So 0-60 mph happens in about 4.2 seconds. According to the US pricing sheet, the 2018 BMW i8 Roadster has a base price of $163,300, plus the $995 Destination Charge. In the base price, BMW includes the E-Copper Leather, 20 inch bi-color wheels, Head-Up Display, heated front seats and the other usual BMW standard features. Special colors are also extra, such as the Crystal White Pearl Metallic with Frozen Grey or Frozen Blue accent for $1,800. The standard colors are E-Copper, Sophisto Grey Metallic and Donington Grey.